Jan Abildgaard Pedersen graduated with a Masters Degree in Electrical Engineering from the University of Aalborg in Denmark in 1993, where he specialized in Acoustics. After graduating Jan became a DSP Research Engineer at Bang & Olufsen in the Electroacoustics Research & Development. 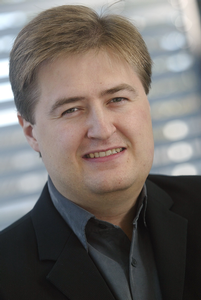 Later in 1998 Jan became a Technology Specialist for Acoustics and DSP within Bang & Olufsen. In 2009 Jan became a Senior Manager and Specialist in DSP & Acoustic Technology with Bang & Olufsen first in the division for Automotive Audio and later also including domestic Audio/Video products. Since June 2014 Jan is now the Development Director, CTO of Dynaudio in Skanderborg, Denmark. Jan is behind 14 international patents on areas like room adaptation, spatial sound reproduction and 3D audio. In addition Jan is the author of more than 30 scientific papers, which he has presented at international conferences on audio, e.g. at the “Audio Engineering Society Conventions”.